Church/Religious — Taff & Frye Co. Inc.
Gate City First Baptist Church asbestos removal and interior demolition. 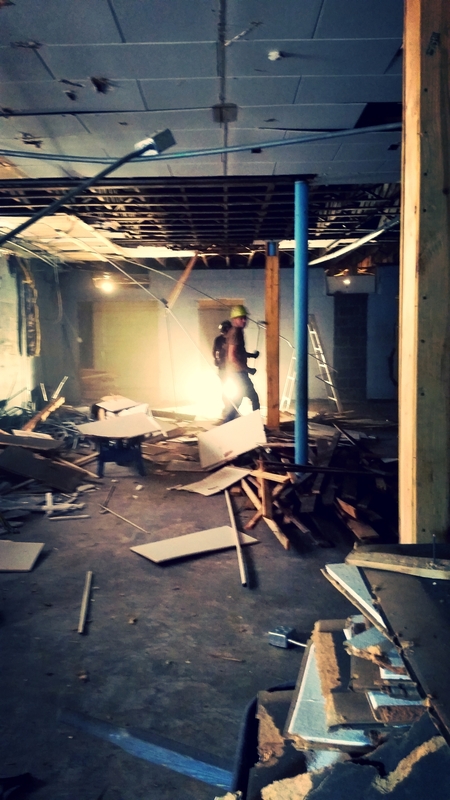 Early Sept. of this year (2014) we collaborated with Burleson Construction Company by doing demolition work on the entire interior of First Baptist Church in Gate City in preparation for a new renovation project. We began by clearing out the asbestos flooring, then worked from the basement all the way to the top floor taking out the required walls, ceilings, and fixtures. Here are some photos of the process in the basement.